Update: Dinner reservations are now closed. Members who would like to come for the event doesn't need to register online. Non-Members please register online or you may come for the event and pay on the spot. The Indian Association Geneva (IAG) takes great pleasure in inviting you, your family and friends to the much awaited and most population celebrations of the year: DIWALI, GURPURAB, MILAD-UN-NABI and CHRISTMAS. 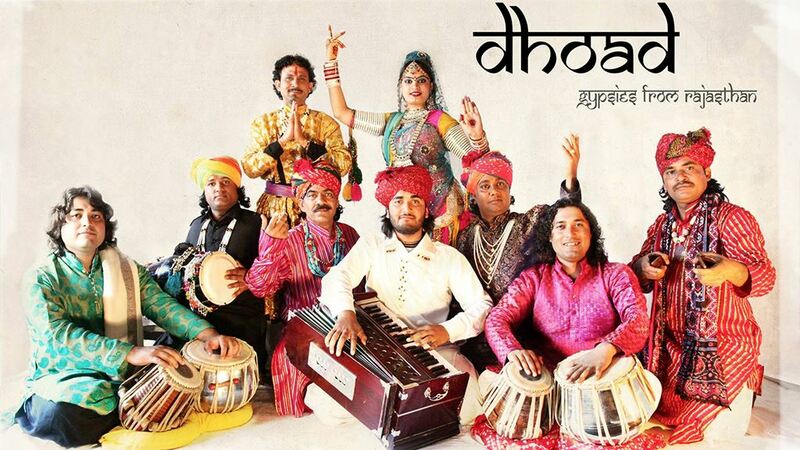 The evening promises to be very special, offering a mesmerizing journey with the world renowned “DHOAD Gypsies”, the Cultural Ambassadors of Rajasthan. 21:15 – 22:30 Dinner batch 2 (For people in the second batch, a bar and music will be housed with the opportunity to socialize. ) We will also have a tambola in the drinks area . Note: Dinner price includes non-alcoholic beverages i.e. will be provided free of cost during dinner. New: Based on feedback from last events, we will be offering a better dining experience this year with a sit down dinner with proper cutlery, no more standing in queue. For this reason, please note that pre-paid meal reservations are mandatory and need to be done by Wednesday, 22 November 2017. Unfortunately, we won’t be able to accommodate any last minute reservations beyond this date. Thanks for your understanding. Please reserve and pay for your meal preference using the REGISTER button on the top. Step by Step instructions are listed below. If you are not able to use the online system, you can also pay to the IAG Postal Account: 12-12367-6 and IBAN CH49 0900 0000 1201 2367 6 mentioning details about your meal preferences, number and batch. All payments should be received before the deadline 22 November 2017. For any problems, please reach out to Mrs. Pankaj Bhayana at 079 794 1609. We would also like to announce that we have upgraded the association website and added several digitized features to serve you better. More information will follow soon. All members are requested to bring with them membership card to facilitate easy verification on the entry. Looking forward to seeing you with family and friends. If you take the tram, walk 10 meters in the direction of the Lake, turn right into Avenue Edmond-Vaucher. About 400 meters along Avenue Edmond-Vaucher, the AULA Henri-Dunant will on the left. There is blue zone parking on Avenue Edmond-Vaucher and paid parking (underground) is available at the AULA.